Heather Beather here. 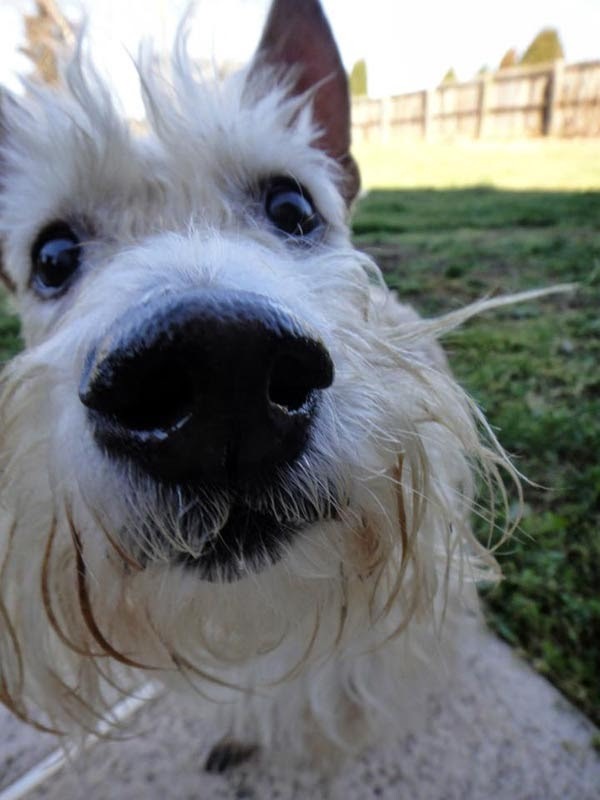 I'm taking over the blog so I might be able to plead my case before Scottie Mom can complain publicly about a perfectly resourceful habit of mine that she thinks is unusual and just plain gross. 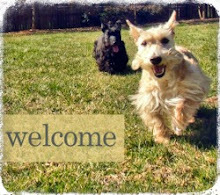 Every morning, afternoon and night, Scottie Mom takes us out for walks around The Scottie House neighborhood. We follow a path of light grey concrete blocks to the back of the house and all the way up to the front of the neighborhood and then back to The Scottie House. In between each block is a small crack, in which the juiciest snacks find their way through after it rains heavily - which, here in Atlanta, has happened a lot this year. These snacks from the cracks are thin and only an inch or two in length. They look (and taste!) like noodles. Sometimes, these snacks are a bit slimy, having just been washed out in the rain. Other times, they are nice and crisp after toasting in the sun a bit. Either way, I find these snacks that come from the cracks just scrumptious! I keep my nose pressed to the ground on days after a good rainfall. You never know what kind of snacks you might miss out on if you don't stay vigilant about these things. 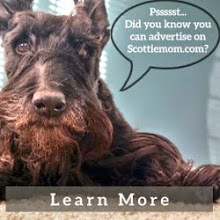 I've noticed Scottie Mom is on the lookout for them now, too, because I hear her say, "Nooo!" every time I beat her to finding the snacks and she can't stop me from gobbling it up for myself. Scottie Mom claims she says, "No" because she doesn't want me eating these snacks from the cracks. I know, I tell her, you want them all to yourself. They're yummy and I understand. That's why I work hard to make sure I find them first. Scottie Mom laughs when I tell her this and she insists she does not want to eat them herself but is only concerned for my well-being (as if eating these snacks from the cracks is unhealthy!). Are you falling for it, friends? 'Coz I'm not. I'm pretty sure the snacks from the cracks that Scottie Mom calls worms are a good source of protein. Don't our bird friends feed off them? If so, then why can't we Scotties? Not falling for it, no No siree, Bob! I have to find out who Bob is. When we have Cicadas well I slurp them right off of the trees till my belly is round and I don't need my dog food. Why even my Cincinnati Zoo said they are good for animals and in China the peeps eat those things. As the song says: Eat 'em up, yum! And we will still like you, Heather! Ms Fiona would like to insert her 2 paws worth here...and prefers locusts. They are MUCH more entertaining to try to get to-wings and noise. Now THAT is a challenge worth a Scotty's smart tactics ;-) But no worries Heather...Mr Winston and I leave the worms for the pooches across the street-they are bigger and can't get to locusts like we can...labs..nuff said! I like them there wiggly things also, but me mom does not like for me to have them. I'm fast and get them before she sees them. Good Eats. OOH! It's an underused source of protein. If you can't eat them, I have a plan for you. Gather them up, send them to Mollie where she can package them up. Then she can sell them at her store as "Snax from the Krax". You can split the profits and with your share, you can buy Mom-approved snacks (like bunny poo). Bah! Rootin' for grub (or GRUBS) is fun! Don't listen to your peep! THAT Scottie House video is the cutest thing I've ever seen.